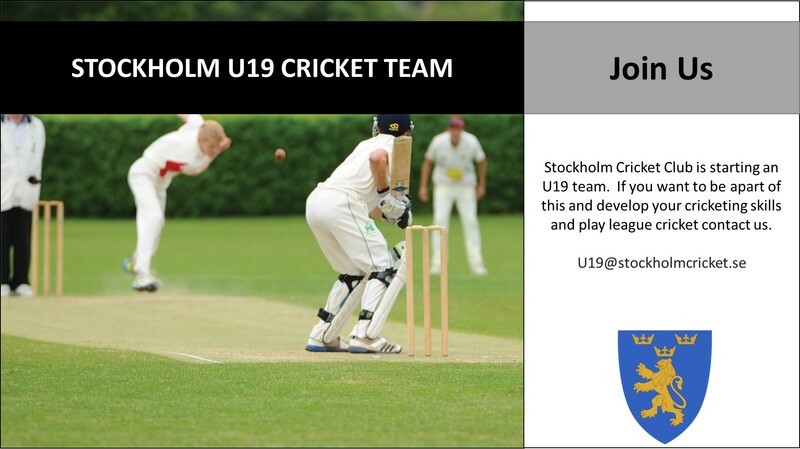 The Stockholm Cricket Club is starting an U19 team. We aim to always remember to have fun when playing cricket and have a goal of not just creating tomorrows cricketers, but well rounded people too. Our U19 team will develop players and people - we have a club wide development framework to create great cricketers and have fun. Team members will get a personalised development plan. During the winter (January to March) we will training indoors once per week, which a focus on skills and fitness. During the Spring and Summer we will training up to 3 times per week, with a focus on individual and match skills. If you want to be apart of this and develop your cricketing skills and play league cricket contact us.